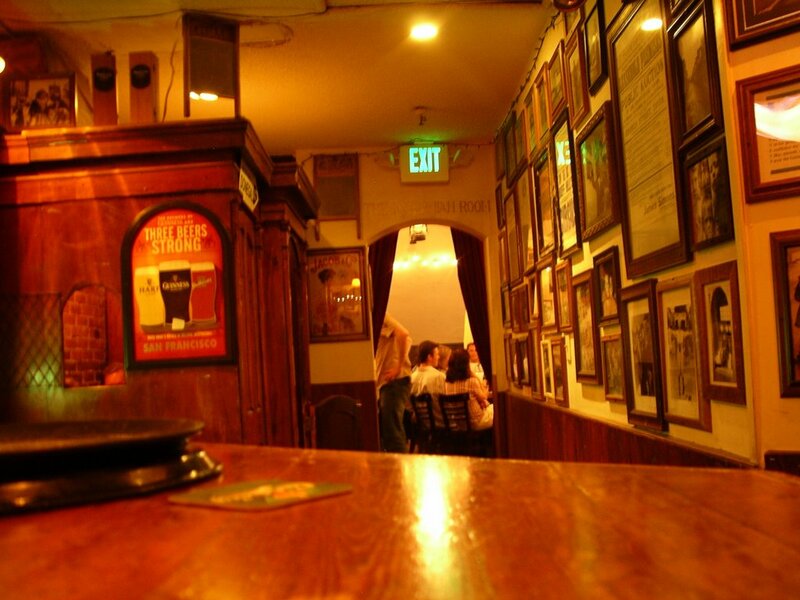 The Irish Bank in San Francisco, CA is easy to find, once you find it. Actually, it's really not that bad. 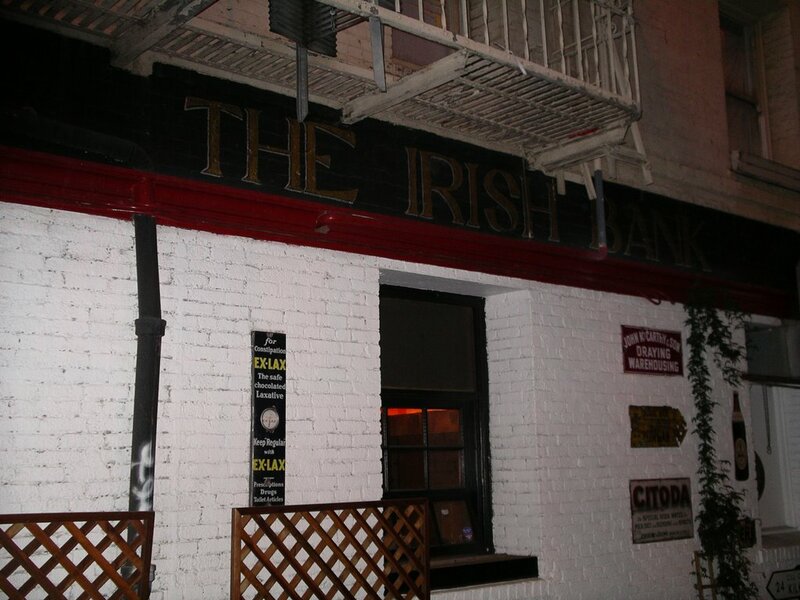 Just mosey along Bush Street and look for an alley, home to The Irish Bank. Important note: when in San Francisco, know which street you are looking to head down before venturing out. Because, when you have to search for an alley on one of five streets, unless you know the city well, you never know how steep the next hill around the corner is. Bush was the last street that I checked. 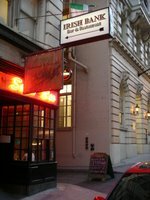 Somehow, my recollection had it on any parallel street, except Bush :) When I showed up, the alley street was full of post-happy hour revilers. The location is very close to the downtown business district (along Market, Montgomery, and other streets) and is extremely conducive to after-work parties. 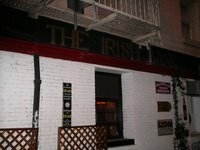 The Irish Bank sets up tables and chairs in the street for an alfresco experience, while the inside evokes a homey Irish pub feeling. 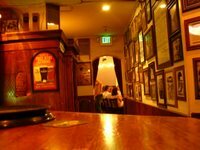 Sitting at the bar, you can see practically the entire interior space. Not that it's all that small, there is plenty of room for hanging around. The brick walls are covered with framed pictures of all shapes and sizes, across the generations. And, behind the bar are a couple of TVs...small ones. In the back, there's a small room with tables for more relaxed gathering. Then what does the bar have to offer, you ask? Well, it's a respectable, but not overly impressive, lineup that should provide anyone with a night's worth of happy lubrication (ok, get your mind out of the gutter)! 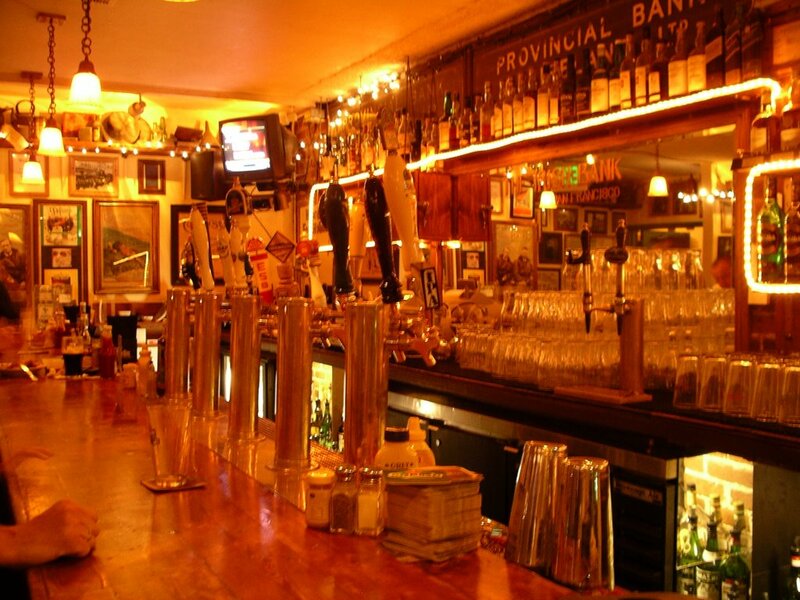 On tap on this particular Wednesday evening included: Guinness; Magners; Sierra Nevada Pale Ale; Bass Ale; Harp Lager; Smithwick's; Beck's; Red Hook ESB; Lagunitas IPA; Leffe Blonde; Carlsberg Elephant; Boddingtons; Stella Artois; and Widmer Hefeweizen. Chimay (red) is available in a bottle. 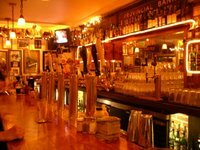 The drinks and food are served by friendly and courteous guys dressed buttondown shirts and ties and ladies in casual clothing. I got just a bit of the 100+ year history of the location which apparently has served as a bank, a gay bar, and now an Irish pub. Whatever the case, the building certainly has a charm to it and The Irish Bank definitely fills the space well with a convivial spirit and decent food and drinks. 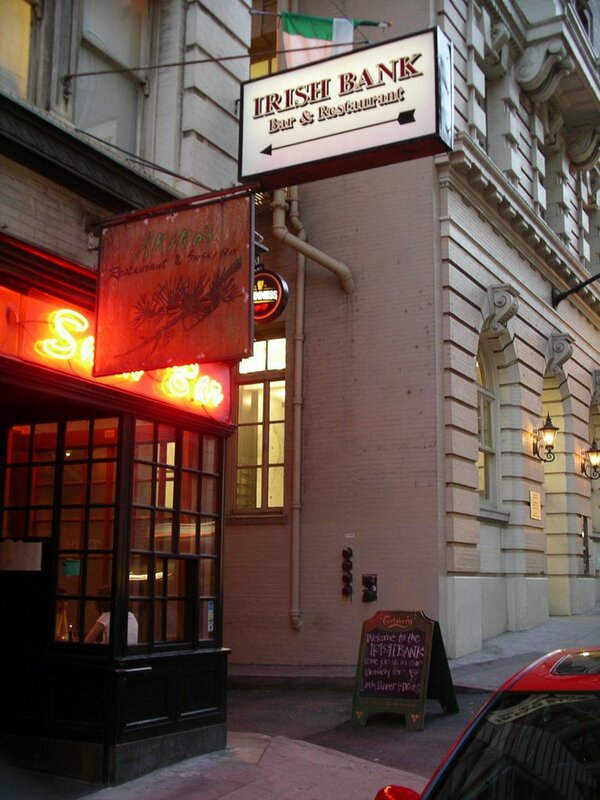 Definitely worth a stop if you are in downtown San Francisco, near Chinatown or the business district. And if you are with a group, it's even better.